Looking for the Harry Stephen Keeler Society? Here it is. to the strange and beautiful world of antique writing machines. "What's my Woodstock worth?" and other inquiries. More than you ever wanted to know about these little charmers. What to call the whatchamacallits. Authors' favorites, past and present. A whole book about the Fox, offered here with permission of the author. Are the Bush Documents Fakes? An analysis of a footnote to the 2004 presidential election. 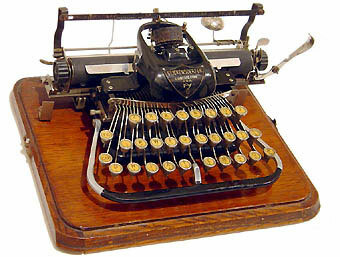 Resources for the typewriter collector. How to make it shine. The instructions you've been looking for. Where to meet early writing machines in person. Where to get it fixed. The rebirth of an early gem. 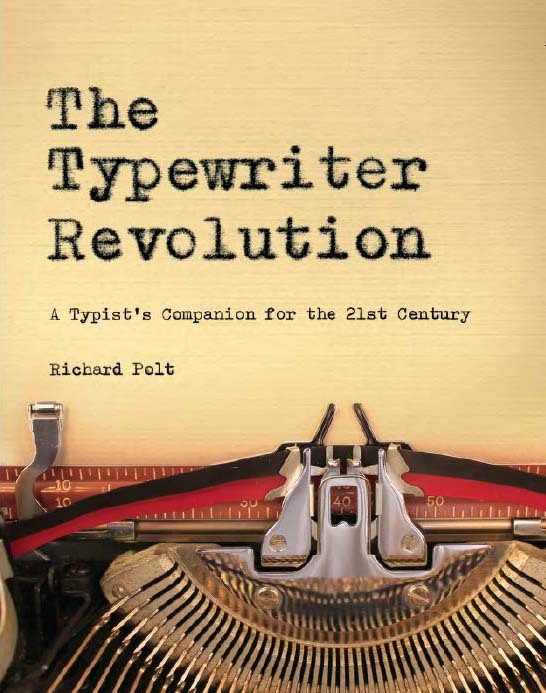 My book about typewriting in the 21st century. My typewritten blog about typewriting. 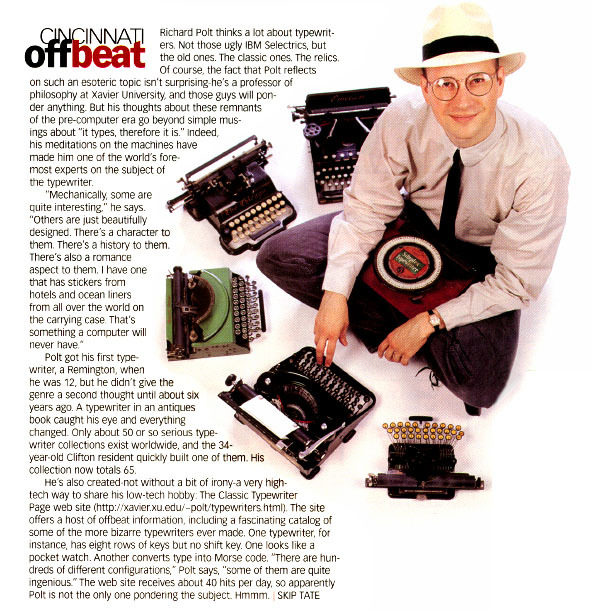 Make your computer write almost as beautifully as a typewriter. 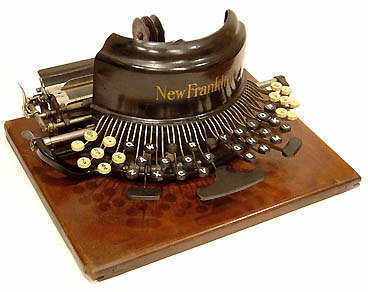 Pictures of beautiful writing machines on all sorts of products. 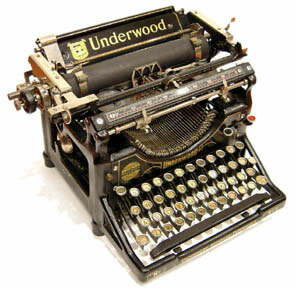 Real writers tell us why typewriters are still the way to do it. The metaphysical significance of writing machines. This site is maintained by Richard Polt. If you'd like to write to me, please check my FAQ first. My contact information is here. Find out about my book. The word after a link means that it contains items that were added recently. This site first went online on December 9, 1995. It reached one million hits on April 30, 2010.
design and abundant, quality illustration." 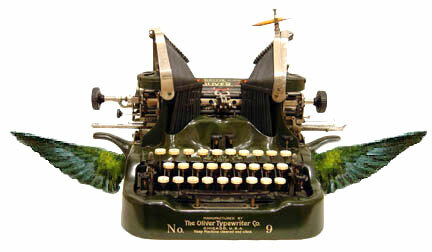 reminiscing at The Classic Typewriter Page." this site is a rare treat - a genuine time capsule from a lost world." that has been all but whited-out by the advent of the word processor..."
over the beautiful machines pictured and described here."